Imagine this, your parents ask you to join them on a boring trip overseas. They somehow managed to drag you off your computer and ask you to join them for a weeklong trip. Being a gamer you feel uneasy without gaming. What can you do then? That’s easy, just use your smartphone! In this day and age, almost everyone has a smartphone and these smartphones whether on Android or iOs platforms have thousands of games for you to try out. Today, I’m going to introduce 2 games to you. These games do not need a working internet connection, good for people who do not have mobile data, and even better for those overseas as you can play the games on the go. I’ll be rating the games based on 3 points. The length of time it keeps you occupied, the plot of the game and the effects. 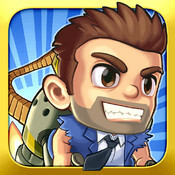 First up, Jetpack Joyride by Halfbrick Studios. It is available both on Android and iOs platforms with free versions. The point of this game is to get Barry, who is the main character as far as possible in the lab, collecting coins and accomplishing missions. For the length of time it keeps me occupied, I will give it 5 stars. You can play this game for hours at a go and not feel tired of it. The plot is also great but does not come through or affect the gameplay very much, so it gets 3 stars. The effects however, are superb and deserve a 5 star rating. So on this game gets a score of 13/15 stars which means it is a game that you’ll have to try! Next up, "Where’s my water?" By Disney. It is also available both on Android and iOs platforms with free versions. 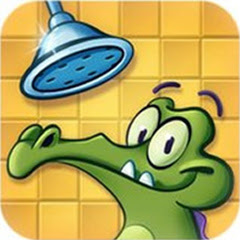 The plot of this game is to connect the water to our main character Swampy, who is just trying to take a bath. With 140 different levels for you to accomplish and to perfect, I rate this game at 5 stars for the amount of time it keeps me occupied. For the plot, the game has cut scenes to show the plot of the game so I’ll give it 5 stars. Lastly, the effects of this game is also great, with the water flowing like it is real water. That gets 4 stars from me! This game gets a total of 14/15 stars, an almost perfect score! You’ll have to try this game! Both apps are very hot in the app store now too. Both the apps have received a 2012 “Apple Design Award” for having a huge number of downloads. Other sites such as metacritic.com and ign.com have reviewed these games also and they have given them a very high score. So there you go! 2 games that can keep you entertained for hours and ensure that you will not be bored as long as you have your smartphone with you. Thanks for reading and keep on Pwning!